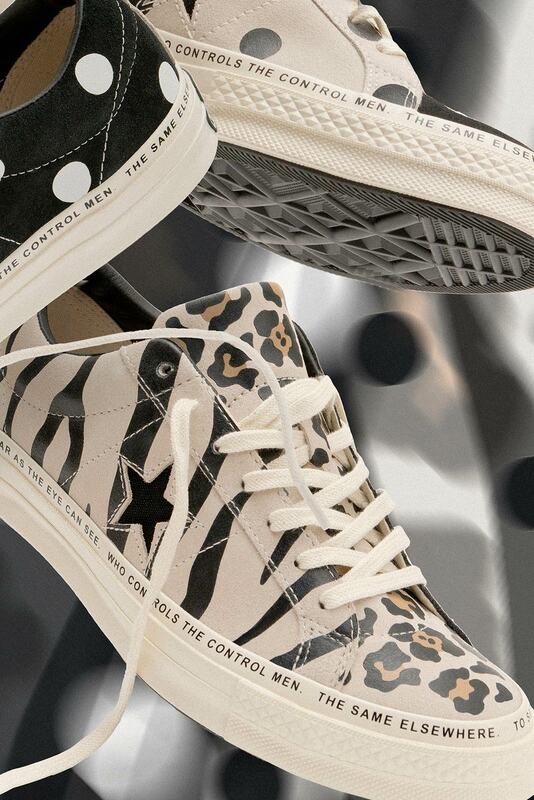 After dipping into Converse’s archives of prints and patterns for an ultra-unique take on the Chuck 70 last year, Brain Dead is back again to give another classic silhouette — the Converse One Star — a similar treatment. 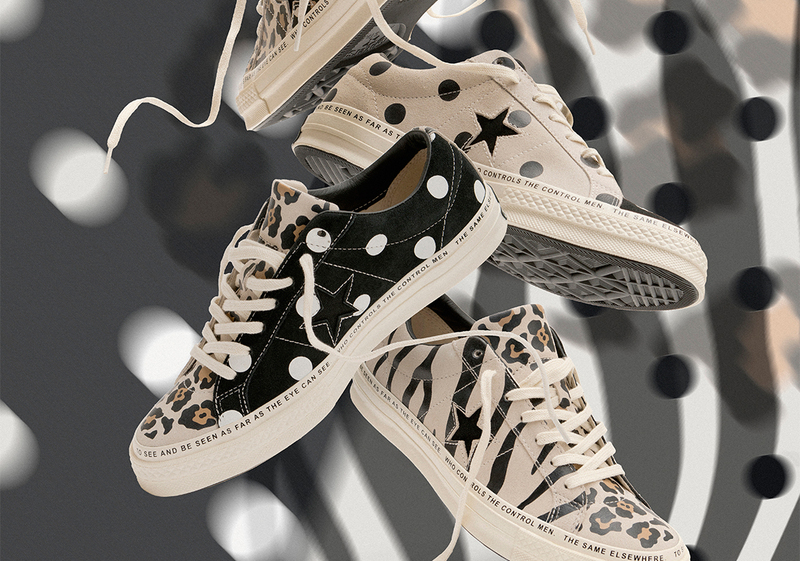 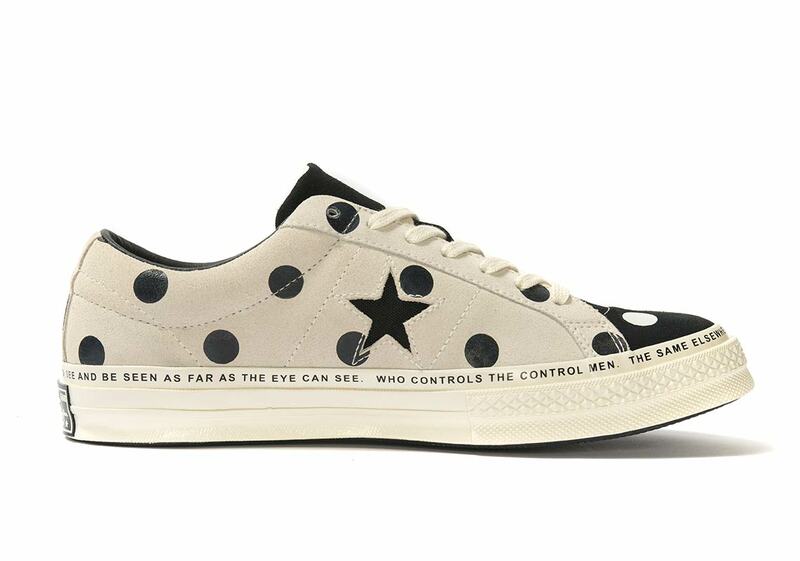 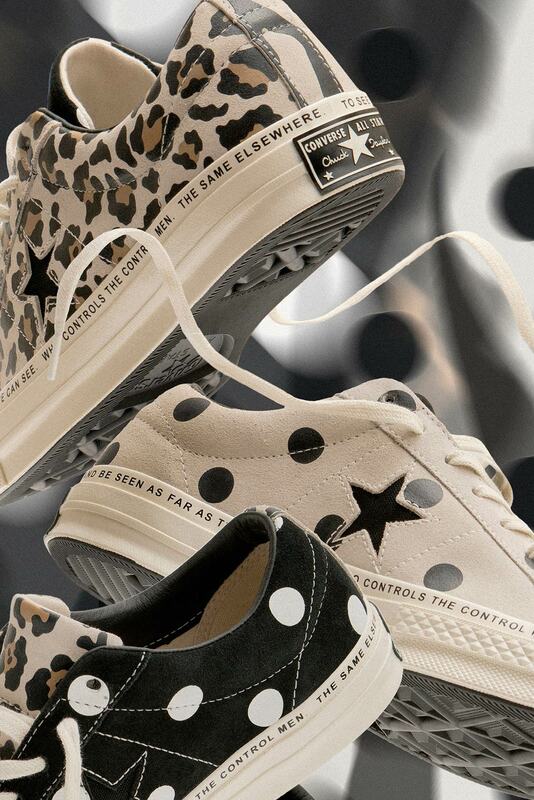 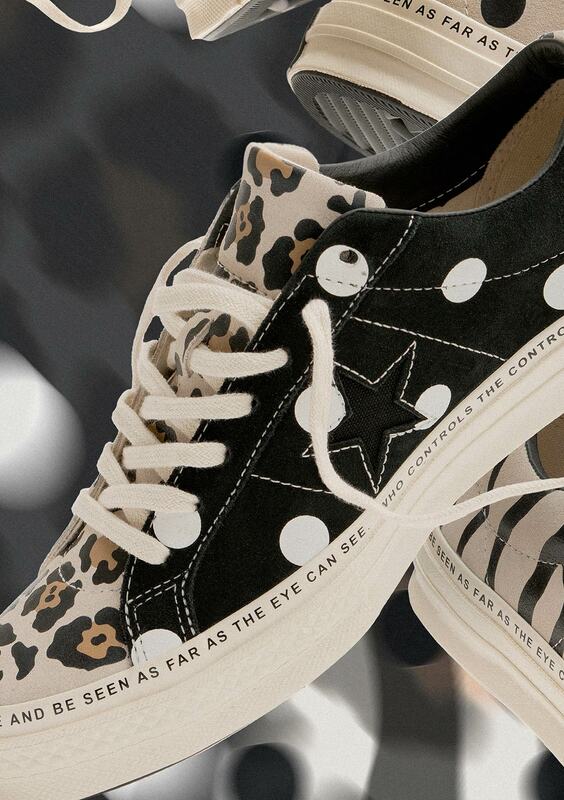 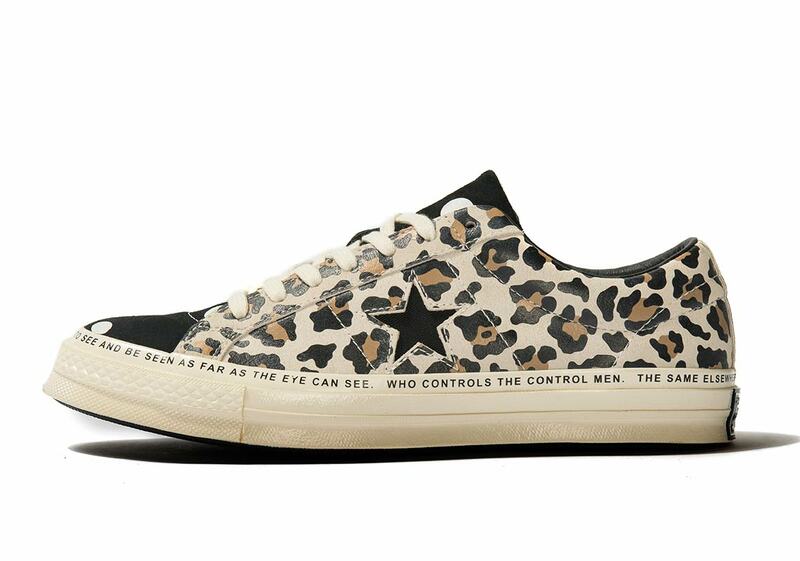 There’s a few differences this time around though, as they’re focusing entirely on animal prints and polka dots for a design inspired by skate and street culture’s adoption of Converse products. 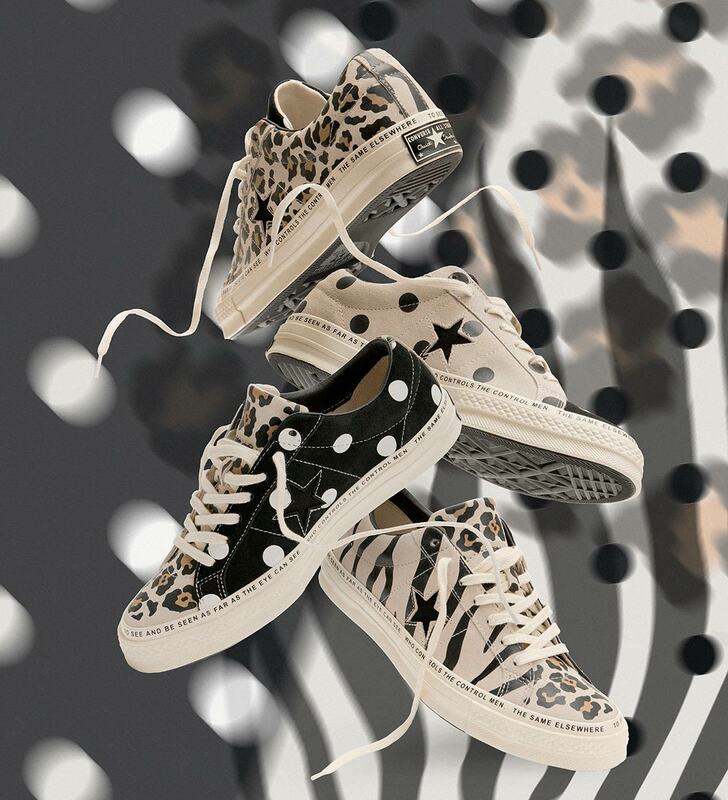 Using an asymmetrical yin and yang of black/white and white/black polka dot panels on the left and right sneaker, each shoe then also calls upon the aforementioned animal prints — zebra and cheetah — for even more wild detailing. 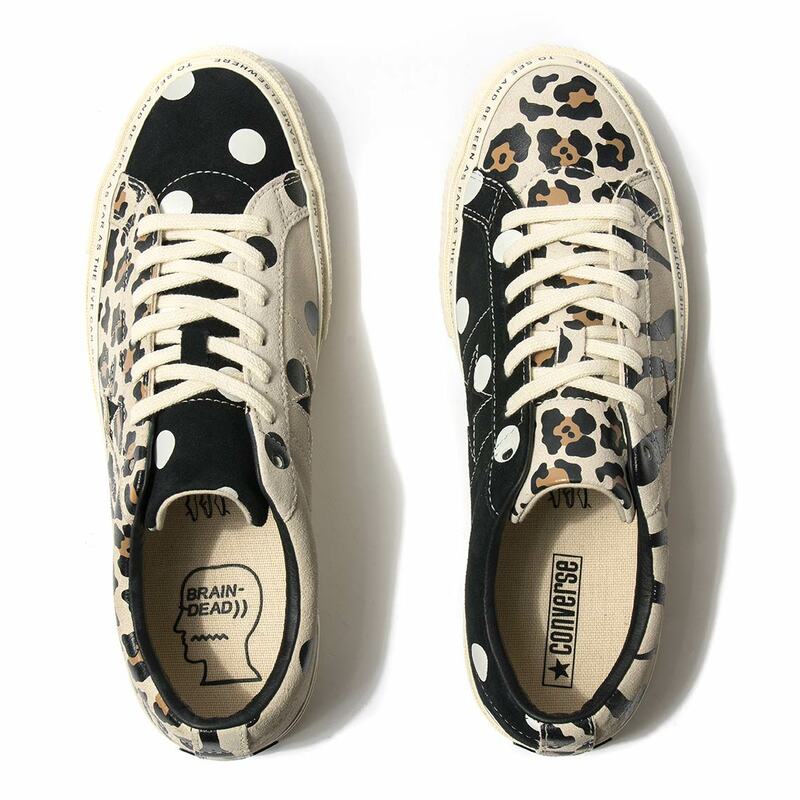 Founder Kyle Ng’s brand vision “Brain Dead is Not One Person, Nor Is It One Idea. 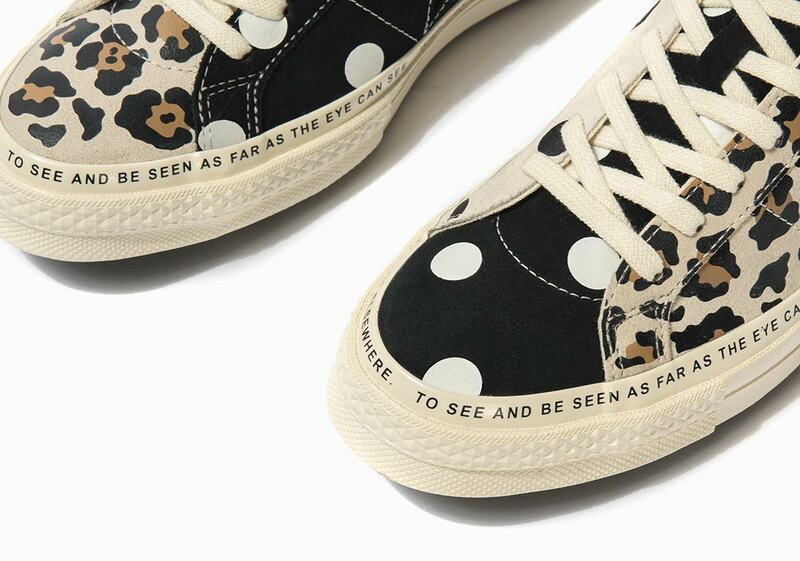 It sits in the space between people.” then appears on the midsole’s foxing to complete the look. 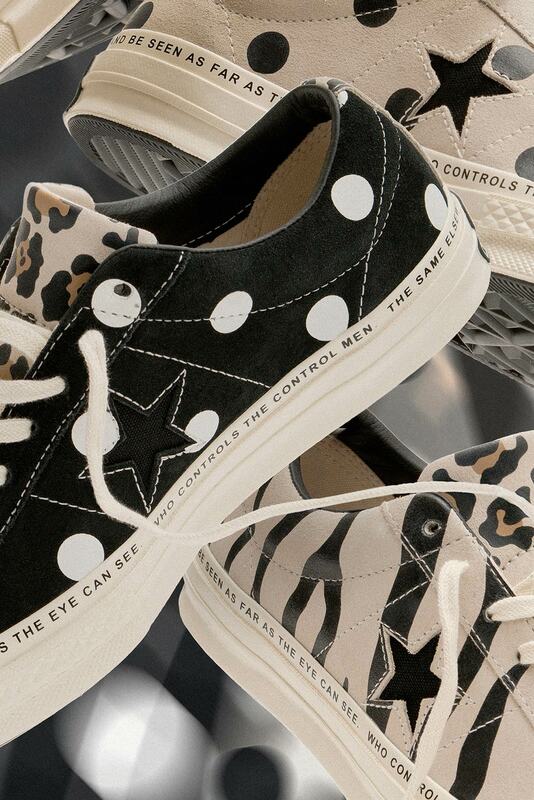 Check out the eye-catching kicks right here, and expect a release at the Converse stockists listed below February 7th for $120 USD.